PathSpot helps you protect your business and customers from foodborne illness. 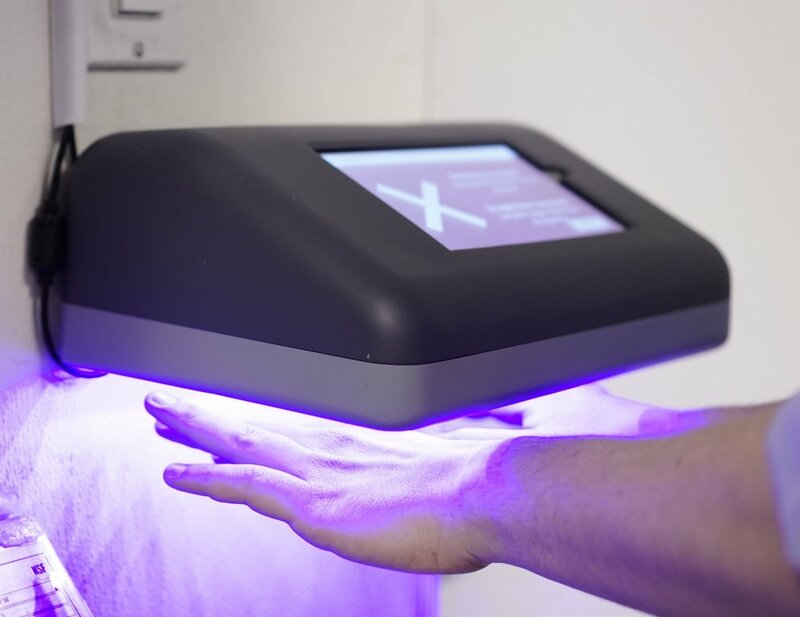 The PathSpot hand scanner instantly detects invisible signs of bacteria and viruses that cause foodborne illness including Norovirus, E.coli, Listeria, Hepatitis A, and Salmonella. There are 48 million cases of foodborne illness each year, and 97% of Americans do not wash their hands properly. It’s time for a new solution to the handwashing problem. The PathSpot hand scanner gives your food-handling team members real-time feedback on the effectiveness of handwashing. It also collects data that your business can use to measure and improve handwashing compliance. PathSpot fits seamlessly into the handwashing workflow. After washing and drying, team members scan their hands to confirm they are safe to handle food and serve customers. The hands-free technology recognizes each team member with biometric identification. PathSpot uses light-based technology to detect signs of pathogens that cause foodborne illness. The 2 second scan gives an instant result. When a contamination is detected, team members are directed to rewash and rescan before returning to work. On your PathSpot Dashboard, you will see the frequency and efficacy of handwashing at both the individual and the team level. You will have real-time visibility into your business operations so you can ensure a positive food sanitation culture. Co-Founder, Chopt Creative Salad Co.